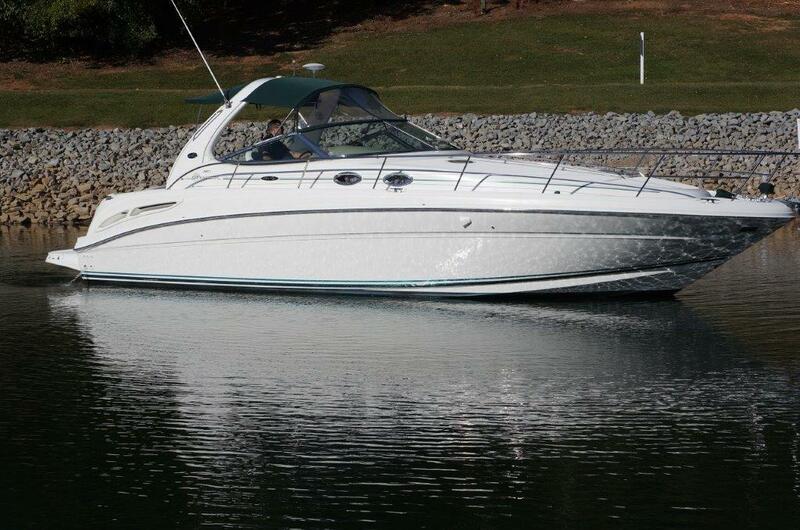 2004 Sea Ray 360 Sundancer Blue Hull - Excellent Condition - $124,500Boatyard maintained and runs great with low hours. 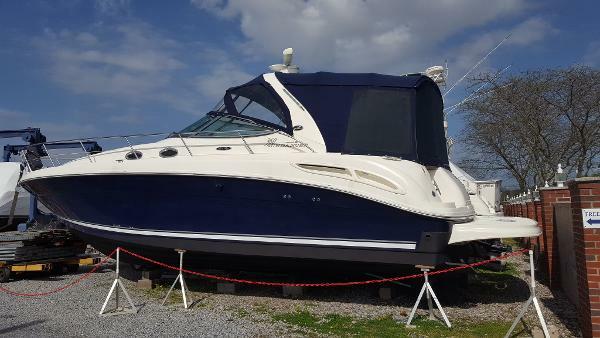 This boat is in excellent condition both inside and out with a beautiful blue hull. The 12'6" Beam makes staying overnight feel like you're at your home.2004 Sea Ray Sundancer 360 Specs: - LOA 39' - Draft 3' - Beam 12'6" Engines: - 2 Mercury MIE 8.1.S Horizon Gasoline V-drives - 370 H.P. each - 423 hours each- Twin Inboard Key Electronics: - Autopilot: Ray ST 7001 - GPS: Ray RL 70C with Chart Plotter - Radar: Ray RL 70C Other: - Kohler 7.3 kilowatt gasoline Generator - Air Conditioning - Coolmatic under-counter refrigerator and freezer units, cockpit fridge - (2) Flat Screen T.V.s - Anchor Windlass - New cockpit carpet two seasons ago - New clear vinyl window on canvas enclosures two seasons ago The above are just the key details. All other detailed specs are available. 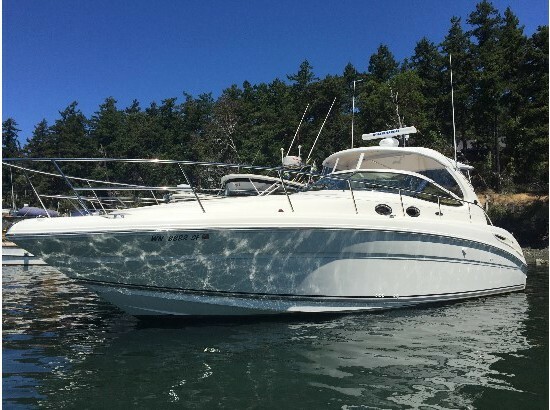 2003 Sea Ray 360 Sundancer offered by InterMarine Yacht Group2003 Sea Ray Sundancer - Lots of Updates Buying a used boat is one thing, but having to do repairs and service is another thing. 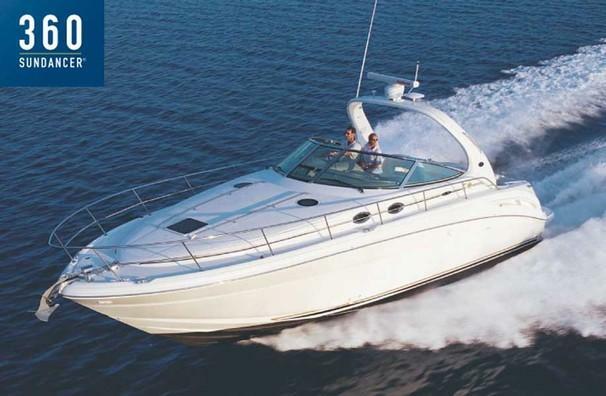 With this 2003 Sea Ray Sundancer virtually all services have been recently completed. The owner of Timeless Destinations has owned the boat since 2007 and maintained it with an open checkbook. Recent repairs, updates and add-on's include: 16,000 BTU Cockpit Air Conditioner - Installed May 2015 ICOM VHF Radio - October 2015 Simrad Touch Screen GPS - October 2015 New Shaft and Reconditioned Propellers - May 2015 Complete Engine and Generator Service/Tune Up - April 2015 Stanley Steamer Carpet Clean - April 2015 Bottom Paint, all Zincs Replaced - April 2015 Underwater Lights added - 2012 Wet Sanded, Wax and Detailed - May 2015 Smart Craft System Monitor changed to Color - 2012 New Sound System w/Bose Cockpit Speakers - 2011 Auto Pilot - 2010 Huge Bow Sun Pad - 2007 About the 2003 Sea Ray Sundancer: If you are looking for a mid-size express cruiser check out this Sea Ray 360 Sundancer. Graceful styling and nicely finished the 360 offers performance and comfort. Built on a deep-V hull with moderate beam, this mid-cabin cruiser gets high marks for quality furnishings and fixtures ample storage, built-in entertainment center and a plush Ultraleather lounge. The cabin was designed with good headroom and a two-part pocket door provides privacy for the forward stateroom. Both the salon sofa and mid-cabin lounge convert into double berths. At the helm, a bucket seat with a flip-up bolster allows for stand up driving and theres space in the tiered, burled dash for electronics. Engine room access is excellent; the entire cockpit floor rises on hydraulic rams to completely expose the engines and V-drives. Additional features include an extended swim platform, an underwater exhaust system, transom storage locker, and cockpit wet bar. 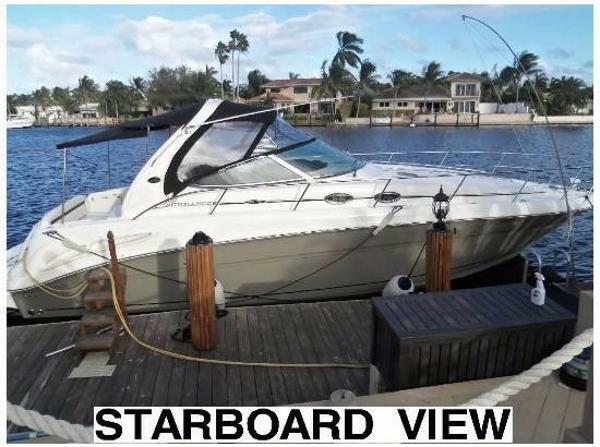 Motivated Seller - Boat located in Sunny Isles Beach, Florida. 2002 Sea Ray 360 Sundancer, This is absolutely fantastic boat. Super clean and turn key. As you enter the boat from the generous size swim platform you will notice the huge cockpit seating Sea Ray does so well. Moving forward step to the well appointed helm and start day dreaming about cruising around. Down in the salon you have an abundance of space and every creature comfort you will need for a long weekend or week. A favorite for many is the separate shower in the head. Some of the special features are listed here: -2 Flat Screen TV's -Custom Mattress & Bedding -Updated cockpit speakers -Raymarine E95 Multi Display w/ Hybrid Touch Screen -New 7.5 Kohler Generator w/ sound shield This boat has been very well maintained. Sometimes when you step on a boat it just feels right. This is that boat. Not too big and definitely not too small, just right. 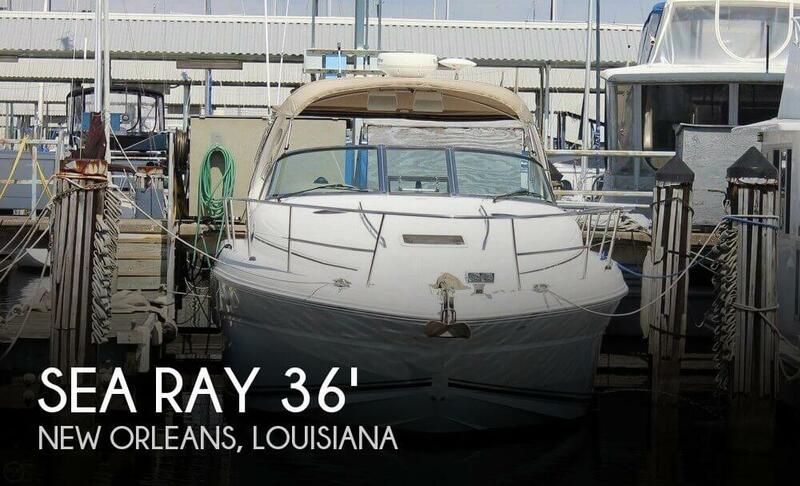 2003 Sea Ray 360 Sundancer JUST LISTED. Always fresh water moored. Low hours and clean. For boaters who have dreamed of owning a Sea Ray Sport Yacht but just haven't been able to swing it, the new 360 Sundancer makes it possible. And she's a Sundancer to boot. She easily seats many of your friends. Her cabin sleeps six. She has a full galley, two TV/VCR/radio combos, a wet bar and a quiet step-down conversation area. Twin VD 8.1 S Horizon MerCruiser gasoline V-drives give you the power to go as far as you want to go. The captain has a bucket seat with flip-up thigh-rise bolster.The control station features custom Sea Ray SmartCraftTM instrumentation, illuminated weatherproof rockers and dimmer control, and a wood-accent tilt steering wheel with hydraulic steering For dining or games, add the table between the aft cockpit seats. Lower the table, pile on the custom cushions from their dedicated storage compartment, and the entire area becomes a large sun pad.The wet bar has a sink and icemaker as well as a built-in insulated ice chest, trash receptacle and large storage cabinet. A faux granite countertop with sink and Grohe® faucet, recessed twoburner stove, refrigerator/freezer and microwave complete the galley. The private head compartment is easily accessible from topsides as well as belowdecks. It features a full fiberglass shower with curved acrylic doors, a vanity with sink and storage, a medicine cabinet and a VacuFlush® head. The step-down conversation area converts to a private stateroom with double berth and privacy curtain. The salon has a beautiful crescent sofa that converts to a double bed. Electronic entertainment is available via the TV/VCR/radio combo and the Clarion® stereo with six-disc CD changer, amplifier, subwoofer, eight speakers and digital cockpit remote control. Please go to "Full Specs" for more details. 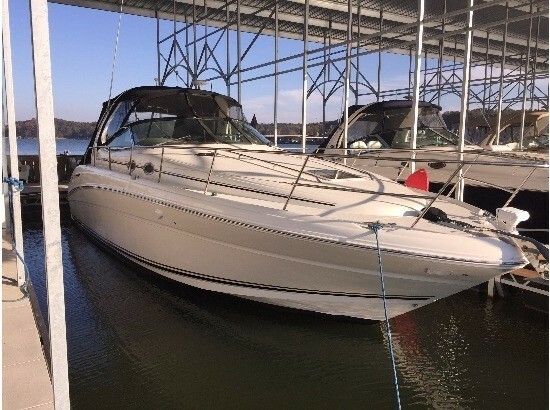 2005 Sea Ray 360 Sundancer Twin Yanmar 315 HP Diesel Engines & Kohler 8KW Diesel Generator NO STRESS is in excellent condition and has a rare diesel package for 360 Sundancers. 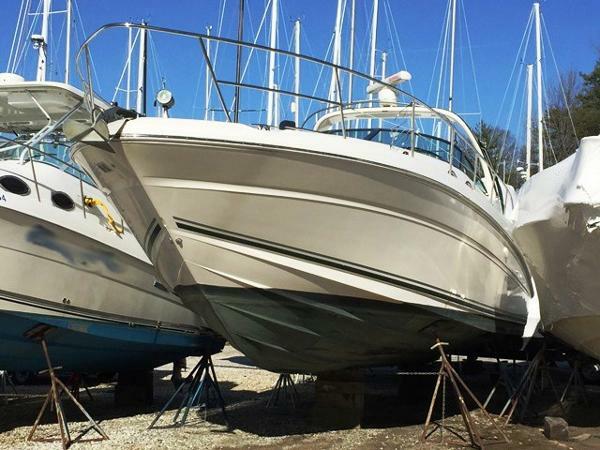 She has been very well maintained, had only two owners, and in turn-key condition. Electronics package includes Garmin 2010C GPS plotter, Raymarine C80 plotter/sounder/radar, Raymarine 72 mile open-array radar, Raymarine ST8001 autopilot, Raymarine RAY240 VHF, Raymarine ST60 depth sounder, Ritchie compass, Clarion XMD3 marine stereo, Clarion 6-disc cd changer, Clarion marine speakers & subwoofer, 2-flatscreen TV's, and DVD player. Call today to schedule a appointment, viewings available seven days a week!! 2005 Sea Ray 360 Sundancer This 2005 Sea Ray 360 Sundancer is one that shouldn't be passed up! She is blue-hulled with twin Mercruiser 8.1 SHO 420hp v-drive engines that power her through the water. She's got a wet bar in the cockpit with an icemaker which makes entertaining easy. Electronics include Raymarine chartplotter, radar, autopilot, and GPS. The galley is cherry finished with microwave, refrigerator, freezer and stove. Kohler generator, swim platform, canvas package, and AC/Heat finish her off. The pictures that are listed are a sistership vessel. Pictures on the boat will be listed soon, thank you for your patients. 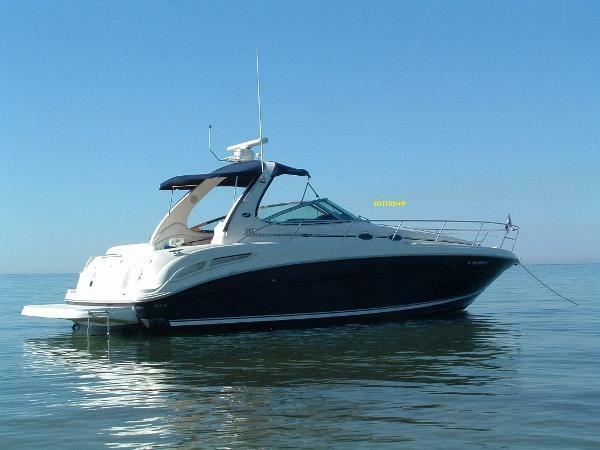 2003 Sea Ray 360 Sundancer This is an opportunity to own the Cleanest 360 Sundancer in the country! Twin 8.1 Mercruiser inboards freshly serviced. Recent upgrades includes JL audio with Fusion stereo Garmin GPS with Radar new anchor windlass. All the amenities AC/Reverse Heat with Generator. This boat is immaculate!! No disappointments! 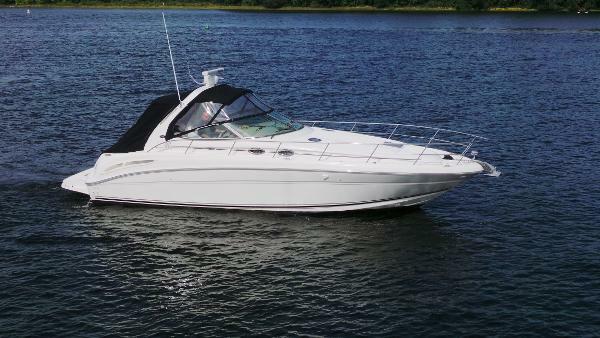 2002 Sea Ray 360 Sundancer, Very clean and well kept 2002 Sea Ray 360 Sundancer equipped with Twin 8.1 S MerCruiser V-Drives. New Snap in Carpet throughout cockpit. Fiberglass sport spoiler with overhead lighting and stainless steel grab rails. 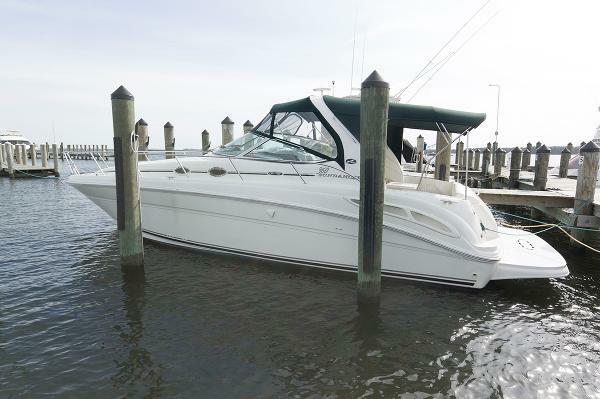 2003 Sea Ray 360 Sundancer AT OUR KENT ISLAND DOCKS & SHOWS GREAT, THIS IS A REALLY STRONG BOAT Well taken care of by original owners this Sea Ray 360 Sundancer will impress inside and out. A custom camper canvas package with forward windshield screen has kept the cockpit upholstery in top condition and the engine room shines. The 360 has a higher end finish inside then the 340 and with the solid bulkhead door upfront offers far more privacy. NICE BOAT. Click Full Specs To See The Pics And Details. 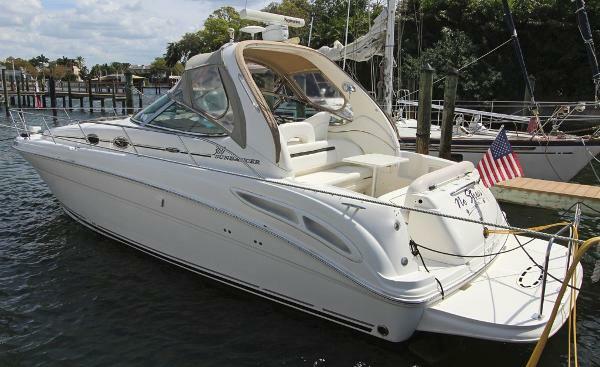 2005 Sea Ray 360 Sundancer Fully Loaded! Model 360 Sundancer Fully Loaded! 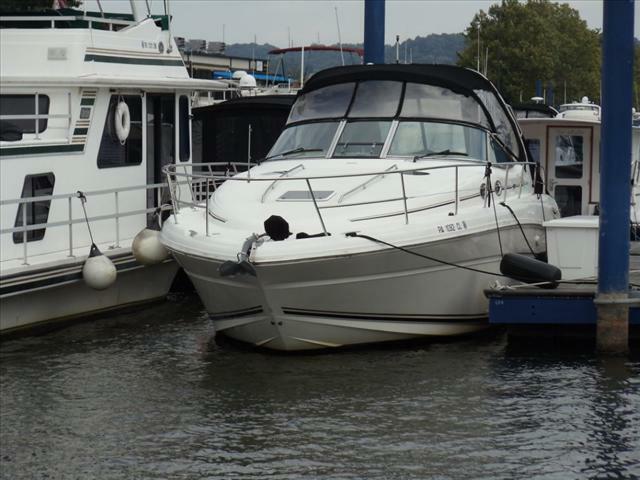 2005 Sea Ray 360 Sundancer Fully Loaded! Knowledgeable cruisers will be hard-pressed to find a more capable midsized express than the Sea Ray 360 Sundancer. Gracefully styled and impressively finished, the 360 delivers a careful balance of performance and comfort. Built on a deep-V hull with moderate beam, the Sundancer’s midcabin interior gets high marks for its quality furnishings and fixtures. This is a comfortable layout with plenty of storage, a built-in entertainment center, a plush Ultraleather lounge, and excellent headroom. A two-part pocket door provides privacy for the forward stateroom, and both the salon sofa and midcabin lounge convert easily into double berths. At the helm, a bucket seat with a flip-up bolster allows for standup driving and there’s space in the tiered, burled dash for electronics. Engine access is excellent; the entire cockpit floor rises on hydraulic rams to completely expose the motors and V-drives. Additional features include an extended swim platform, an underwater exhaust system, transom storage locker, and cockpit wet bar. OWNER MOTIVATED! ***BRING ALL OFFERS*** Extended warranties and financing available. 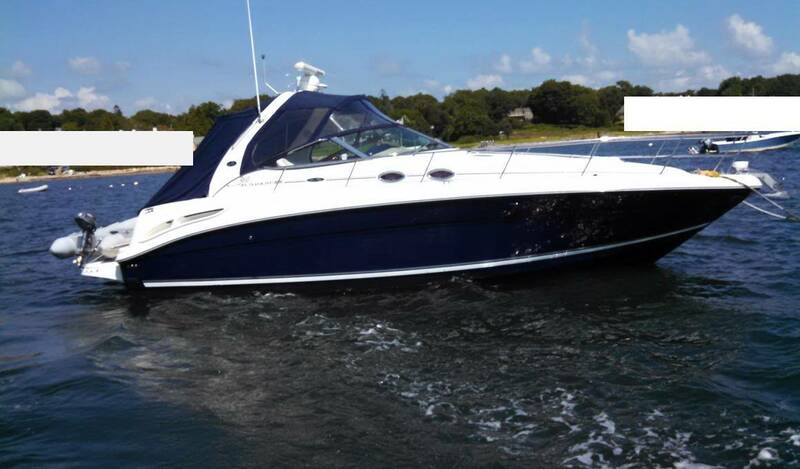 *** BROKERS WELCOME *** ... Click on "FULL SPECS" for pictures and details... TRADES ACCEPTED: up or down: including boats, yachts, cars, RVs, real estate... Worldwide Delivery and Financing Available!